Welcome to Tappara Skating School! The aim of skating school is for the children to learn basic skating skills through play. The children are also taught the basic first elements of figure skating such as jumps, spins and glides/spirals. Which group is best for my child? 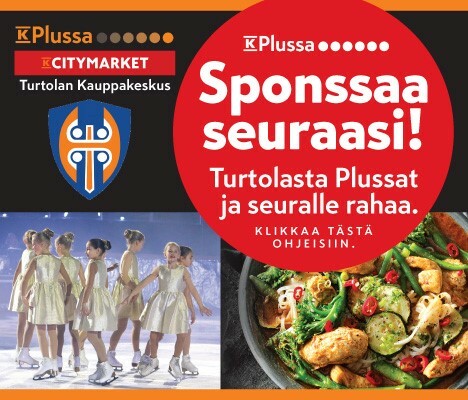 Pikkutähdet = “Little Stars”: 2-5-year-olds who can stand on skates on their own and want to learn the basics of figure skating. Isot Tähdet = “Big Stars”: 6-8-year-olds who want to learn the basics of figure skating. Muodostelmatähdet = “Synchro Stars”: 4-8-year-olds who can skate a little on their own and want to learn the basics of synchronized skating. 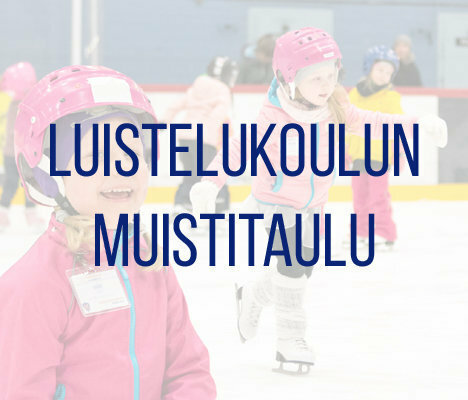 Lapsi-aikuinen ryhmä: 2-5-year-olds who want to skate with their own adult and want to learn the basics of figure skating. Perheluistelukoulu = “Family Skating School”: 2-6-year-olds who want to skate with a family member. Every skating school has a head instructor who oversees all the skating school activity and who is there to welcome the children when entering the ice rink. Every group has their own instructor and there are also assistant instructors on ice with the groups of younger children. Every skater has their own skating pass which is to be worn in skating school. It also doubles as a Tappara membership card. A colored sticker on the pass or colored string on the right skate marks the group in which the skater belongs to. All children must wear a helmet while on ice. Good skates with sharpened blades help the children learn faster. Children should wear warm but flexible clothing. Big outdoor jackets or overalls are difficult on ice. Thin layers keep the children warm. Finger mittens are preferred over thick winter gloves. Interested in learning how to skate yourself? 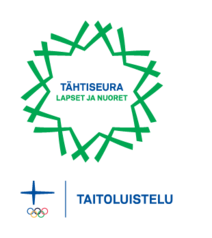 Adult skating school (Aikuisten taitoluistelukoulu) is the perfect place to test those dusty skates or try them on for the first time. Adult skating school is for everyone who is interested in learning the basics of figure skating and synchronized skating. No prior skating experience necessary!